Goku could be called the greatest and most creative fighter in the world. Goku has the most attacks except for Cell. Goku arrived on earth as a baby on a mission to destroy the earth but he does the exact opposite. Goku is responsible for saving the earth many times over and even other planets. Goku is a very intelligent fighter but that's about all he is intelligent at. It always seems that Goku is always smiling ^_^. Goku appears in Dragonball ,DragonBallZ and DragonBall GT. 3. Gohan gradually controls more and more of his power. have a craving for a good fight. He would rather study. 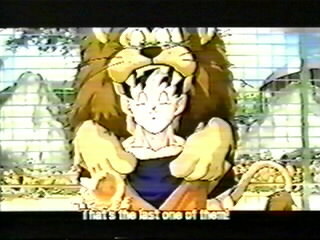 After the Cell Game,Gohan becomes a peaceful teenager. created a few very poweful moves. 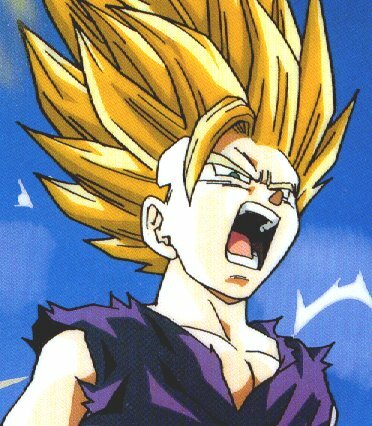 Gohan appears in Dragon Ball Z and Dragon Ball GT. Vegeta born as a prince on his planet went out in search of power. He found a planet with the ability to grant him unlimited power. But with that planet came another saiyan named Goku. Ever since that day Vegeta has always strived to once beat Goku. The only reason he helps Goku and the Z fighters to have someone to challenge him after. Vegeta is always hunting for power. It seems that he cares for no one else but himself but untrue. He has a saiyan son named Trunks who is a powerful fighter in his own right. 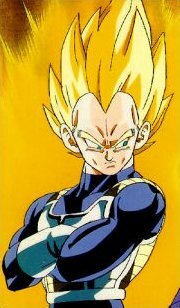 Vegeta appears in DragonBallZ and DragonBall GT. 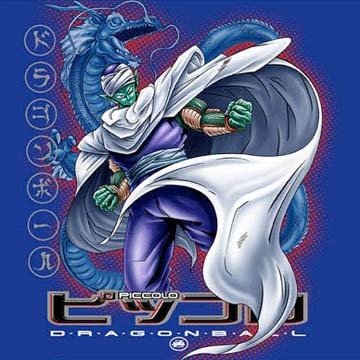 Piccolo, the offspring of Piccolo Daimou has the same intentions as the first. His mission was to kill Goku. Then Radditz came and for Picolo to someday rule the earth he would have to team up with Goku to save it. After he trained Gokus' son Gohan. Gohan brought out the best out of him. Piccolo is a very strong non saiyan fighter. With the ability to change his shape and size he has many surprises. 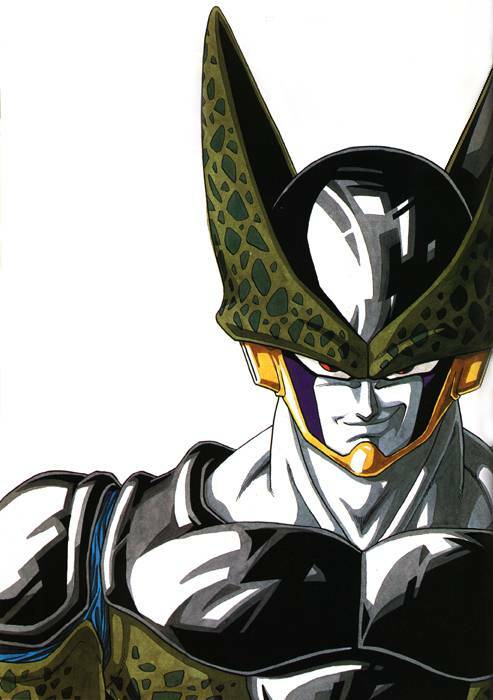 Cell was created by a scientist name Dr. Gero. Unlike all of Dr. Gero's creation Cell was completely organic. Strung together from cells ofthe worlds greatest fighters. His cells combined of:Goku,Piccolo,Vegeta,Freiza and King Kold. To complete his body he needed to absorb to other creation from Dr.Gero to become perfect. He eventually becomes perfect and is unchallenged. Until he learns that Gohan when pushed to his limits will become very powerful. Vegta's and Freiza's cells kicked in and wanted to have a challenge. If not for that Cell would still be conquering the universe. Cell has the most techniques ever. Cell has all of the attacks from all the cells he has collected. Freiza was known as the most powerful fighter in this universe. No one ever dared challenged him. To make his stranglehold stronger he runs a group of fighters to conquer planets and sell them to the highest bidder. Freiza has always strived for power. Even though Freiza was unchallenged in the universe he wanted to make himself untouchable forever. Ironically it's his strive for power that got him destroyed by the saiyan Goku. Even to this day Freiza is training in the underworld hoping to defeat the saiyan name Goku. 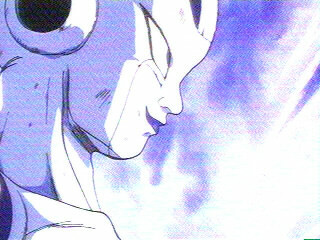 Freiza appears in Dragon Ball Z and makes a Cameo in Dragon Ball GT.